Russia: Why is Putin reviving the Intervision Song Contest? This fall, when pop stars from China and the former Soviet Republics of Kazakhstan, Kyrgyzstan, Russia, Tajikistan, and Uzbekistan gather in Sochi, they won’t just be competing at a revived Intervision Song Contest. They’ll also be playing a part in Putin’s geopolitical posturing. I recently wrote about the contest’s revival for Newsweek—you can read the full article here. But below I summarize the most important points. Valery Rashkin, the deputy leader of the ­Communist Party, immediately demanded that Russia establish a heterosexual alternative for the morally pure. The fact that the audience at Eurovision blatantly booed the Tolmachevy Sisters signaled the growing cultural divide between Russia and Europe. It was a huge slap in the face to Russia, whose politicians view Eurovision as a barometer of its international standing. 2. Countering NATO and the E.U. It’s well-known that Putin, a former lieutenant colonel with the KGB, oozes post-Soviet nostalgia. He famously described the collapse of the Soviet Union as “the greatest geopolitical catastrophe” of the 20th century. He misses Russia’s place as the center of the powerful USSR. He dreams of a multi-polar world with a Russian bloc playing a key role. That’s one of the reasons he’s been pushing a Eurasian Economic Union. So what do you think? 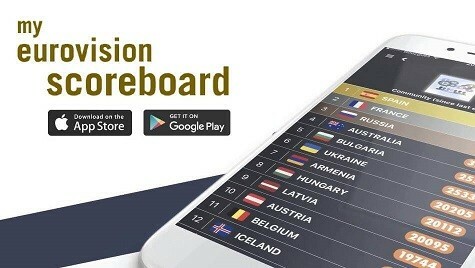 Will Intervision help spread the glory of Russia? Will you be tuning in online? Willie Lee Adams, it’s not Putin reviving Intervision. It’s Igor Matvienko!!! You better read something about Intervision before writing stupid articles. @Ranting Ruby: I’m calling Azerbaijan, provided that they enter. The neat thing about Intervision is that China’s entering, and Japan and South Korea are eligible. It would be pretty cool to see those countries compete. It’s west opinion. There is no Russian opinion in your article. By the way, we confirmed participation in Eurovision 2015, so don’t think, that Intervision is a replacement of Eurovision for Russia. Golly, I wonder who’ll win????? Are they taking bets yet???? @Archeops — I wouldn’t characterize this as “political propaganda”, but rather a measured analysis with reporting from academics around the world. We are, however, open to other opinions and interpretations, and would love to hear your thoughts on why Intervision is coming back. Putin’s in power as long as two things exist: 1) high oil and natural gas prices with high demand and 2) having influence over the former Eastern Bloc. If Putin can’t have some sort of a seamless control over former Soviet or Soviet-bloc nations in political, economic, or sociological terms, he has nothing. It seems like many post-Soviet states don’t even want to identify with Russia either. I’d expect the Baltic states not want to but also Belarus, Ukraine (in 2014 this would be expected), Moldova, and the states in the Caucasus don’t want to participate. Intervision really isn’t going to work out. probably putin reconize that his clown-politics have ruined russias eurovision experience… and rightfully so. Intervision will be a fail! The Russian people actually want to be more westernized and have closer links with Europe, its just crazy Putin and his crazy ideas.